Just how safe are Alberta’s oil and gas pipelines? Alberta is a cyborg landscape. Beneath the surface of the land, over 400,000 km of pipelines course through the province, a steel capillary network buried a metre or two deep. Gathering lines collect raw oil and gas from wells, connecting to storage tanks, pumping stations, processing plants and larger feeder pipes that lead to superhighway transmission pipelines exporting crude oil and other hydrocarbons out of province. 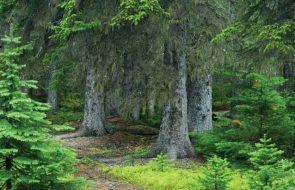 “The invisible industry,” as ex-premier Ed Stelmach called the pipeline network, forms an ever-growing infrastructure pumping quietly under muskeg and forest, foothills, waterways and farmland. It’s out of sight and usually out of mind, even around Medicine Hat, Brooks, Red Deer, Drayton Valley and Grande Prairie, areas of the province so dense with pipe they look like paint splotches on Alberta Energy’s map of provincial pipelines. The safety of those pipelines is currently under scrutiny. At a time when the pressure is on to pump as much oil out of province as fast as possible, concerns about pipeline leaks and ruptures are slowing down environmental approvals for new pipelines across North America. In 2013, questions about the safety of Alberta’s oil and gas pipelines are creating uncertainty as to the future of the provincial and federal economies. The province of Alberta faces a financial challenge. In the 2013 budget, the government blamed a $6-billion shortfall on falling oil revenues. It’s not that less oil is being produced. Production rates for Alberta crude oil and bitumen combined have never been higher, and the Energy Resources Conservation Board (ERCB) estimates that, compared to 2012, production by 2022 will have risen from 2.5 to 4.2 million barrels a day. The problem is that, compared to West Texas Intermediate, the North American benchmark for oil, Alberta’s oil sands bitumen currently fetches a low price. The widened price differential means provincial revenues are less than expected. No new taxes or tax increases were announced in the last budget, however, and the governing Conservatives refuse to increase oil and gas royalty rates. That means one of the few solutions left for getting out of the red is to sell more oil and gas to the US and possibly to Asia, at best getting a higher price for the heavy crude, and at worst selling the cheap stuff at a higher volume—an Albertan spin on the Walmart model. Problem number one for this plan is that Alberta’s oil pipelines are pumping at maximum capacity. To pump more oil, more pipelines have to be built. Since her election in April 2012, Premier Alison Redford has actively promoted pipeline expansion, travelling frequently to the US and China to promote Alberta oil and new pipelines from Alberta. It’s a sales pitch that may or may not yield results. In the months ahead, the US State Department will say yes or no to TransCanada’s proposal to build the Keystone XL pipeline to the US Gulf Coast. In Canada, by the end of the year, the National Energy Board will rule on Enbridge’s Northern Gateway proposal for a pipeline to Kitimat, BC. Problem number two for the pipeline expansion agenda is that in order to get social licence for new pipelines, the industry in general needs to be seen as safe, with minimal environmental impact and maximum economic benefit. In spring 2012, multiple pipeline spills garnered negative media coverage. Pipeline safety became a prominent public issue. 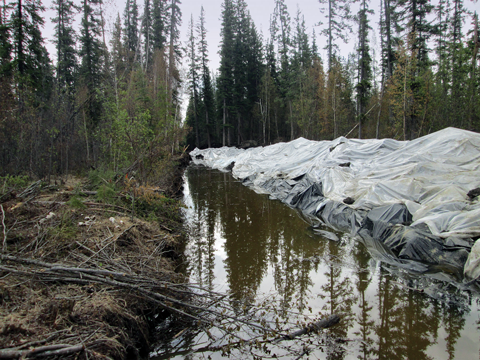 In May a Pace Oil & Gas pipeline spilled 5,000 barrels of oil near Rainbow Lake in northwestern Alberta. In early June a Plains Midstream pipeline ruptured into the Red Deer River and spilled 3,000 barrels downstream from Sundre. National print and television media showed images of oil slicks on Gleniffer Lake, a popular fishing and boating reservoir and a source of local drinking water. Less than two weeks later, near Elk Point, in east-central Alberta, 1,400 barrels of heavy crude leaked from an Enbridge pipeline pump station. In Alberta, calls for an independent review into pipeline safety became difficult for the government to ignore. Over 50 different groups—including the Alberta Surface Rights Group, Public Interest Alberta, several First Nations, the National Farmers Union, Greenpeace and the United Nurses of Alberta—signed a letter asking Redford to formally look into pipeline safety. Environment Minister Diana McQueen initially deflected the concerns, saying the government would wait to decide whether a broad review was necessary until after the ERCB completed an investigation into the Red Deer River spill. ERCB investigations can take two years to complete. The outcry grew louder. In July 2012, Energy Minister Ken Hughes asked the ERCB to hire an independent third party to do a safety audit on Alberta’s pipelines. “A good outcome would be to have a complete review of all pipeline systems in Alberta,” said Don Bester, when I called last spring to ask what he hoped would come of the safety review. Bester is president of the Alberta Surface Rights Group, a landowner association. Landowners legally can’t say no if a pipeline company wants to cross their land, and pipeline safety has been a long-term and growing concern for farmers and ranchers. “It’s up to the provincial regulatory body to do some investigation into these older pipelines and every pipeline that crosses a river,” he said. “Some of these older pipelines are 50 to 60 years old. They must have lost their integrity to ship product. If we have to make the companies replace them, so be it. The debate over pipeline safety in Alberta exists somewhere in the gap between propaganda and fact. It’s a gap inhabited by clashing perspectives, a dataset that can be interpreted several ways, and multiple forms of silence. It’s not easy to come to a definitive conclusion. At least that’s what I found when I looked into it this spring. Take the recent spills into the Red Deer River, for example. 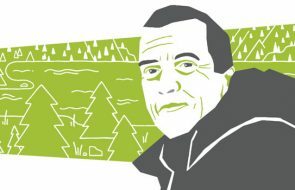 On June 15, 2008, high waters downstream from Sundre exposed a four-year-old pipe owned by Pembina Pipelines, bending it to the breaking point and spilling 177 barrels of oil into the river and Gleniffer Lake. An ERCB spokesman called the break “a very, very rare incident” that could not have been foreseen. Four years later, during a flood on June 7, 2012, a 46-year-old pipeline owned by Plains Midstream ruptured in the middle of the river within three km of the Pembina spill. In relative terms, the June 7, 2012, spill of 3,000 barrels of sour crude was not one of Alberta’s largest. But it did attract a lot of attention. Quoted in The Globe and Mail, Gord Johnston, a landowner immediately downstream from the spill, said, “My place is destroyed.” Neighbour Ila Johnson told CBC: “The oil is all over the lower part of our property. I’ll have to leave home.” In 2013 many affected landowners are no longer talking. People have moved out of their homes, including some who were quoted in initial media reports. Class action lawsuits have been launched against Plains Midstream and the government, and lawyers have instructed many landowners not to talk to the press. June 2013—This spill of 9.5 million L of oil-extraction wastewater, near Zama City, killed roughly 42 hectares of boreal forest. The ERCB began investigating the cause of the spill, but the regulator has not released a report. 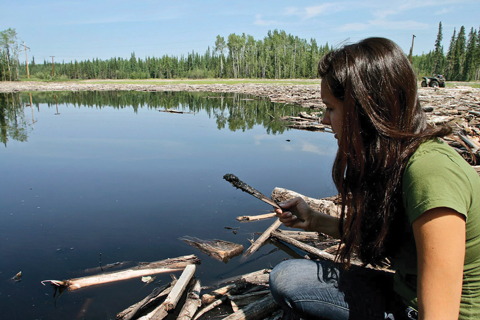 Alberta Environment and Sustainable Resource Development (ESRD) continues to research the spill’s long-term ecological impacts. Initial tests found that toluene, a neurotoxin, passed through water treatment plants without detection. The carcinogen benzene was found upstream from Gleniffer Lake and the Dickson Dam at levels exceeding drinking-water standards. 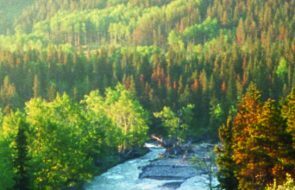 Later tests did not find dangerous levels of hydrocarbons in the water, though Alberta Environment did put a ban on harvesting fish from the Red Deer River and all tributaries upstream from the dam until at least the fall of 2013. The assertion is debatable. What’s clear is that when a spill does occur, real people suffer real consequences. In the absence of publicly available and independently verified research to provide clarity, however, it’s hard to know whom or what to believe in relation to pipeline safety in Alberta in general. The safety debate ramps up around the question of how often pipelines fail. Industry claims that today’s pipelines are much safer than trucks or trains for transporting oil and gas over land. An International Energy Agency (IEA) study partially supports this assertion. In the US the IEA found that rail cars transporting oil are six times more likely to spill than pipelines, though pipelines spill more oil when they rupture. To avoid ruptures, high-tech control centres monitor temperature, flow rate and pressure, while “smart pig” robots make periodic internal inspections to test pipeline integrity and detect dents or corrosion. The Canadian Energy Pipeline Association boasts that from 2002 to 2011, pipelines in Canada transported oil and natural gas with a 99.999 per cent safety record. That means that the pipelines transported over 1.5 trillion L of oil and natural gas, spilling just over 8 million L.
Alberta’s ERCB uses similar metrics. The regulatory agency has jurisdiction over pipelines that fall solely within provincial boundaries. Pipeline companies are required to implement integrity-management programs to identify and monitor risks, to annually evaluate corrosion potential and replace corroded pipe, and to install automated leak-detection systems for liquid-hydrocarbon pipelines. All pipeline incidents have to be reported to the regulator, including damage that doesn’t cause a leak. Spokespeople for the agency claim their data show that aging pipelines are not more susceptible to leaks—once detected, they say, corroded sections of pipe are replaced, and corrosion can occur in new pipe as well as old. The regulatory agency also says their data does not indicate that diluted bitumen is more corrosive than conventional oil. “Pipelines in Alberta have never been safer,” asserts the ERCB, noting that while thousands of km of pipe are added to the network every year, ruptures are now less common—16 in 2011 compared to 85 in 1994—and pipeline incidents have declined. In 2008 the pipeline failure rate was 2.1 per 1,000 km, a number that was down to 1.5 failures per 1,000 km in 2011. The rosy picture looks bleaker if the numbers are counted in a different way. In a widely circulated analysis, “The History of Oil Pipeline Spills in Alberta, 2006–2012,” Sean Kheraj, a history professor at York University, points out that the ERCB’s method of illustrating pipeline safety doesn’t measure the volume, product type or location of pipeline spills, which obscures the resulting environmental impact. Using data from the ERCB’s 2011 field surveillance and operations summary, Kheraj showed that in 2010, an oil spill from a crude or multi-phase pipeline occurred every 1.3 days. Throughout that year, those spills dumped 21,000 barrels of oil across Alberta. When natural gas and sour gas incidents were factored in for 2010, there were 1.4 pipeline leaks every day. The ERCB’s field surveillance and operations summary for the following year is much shorter—15 pages instead of 54—but does show that in 2011 there were 717 pipeline incidents in Alberta. Leaks and ruptures made up 539 of those. That’s a pipeline failure rate of 1.48 leaks or ruptures per day, up from 2010. Unlike the previous year, the exact amount of oil spilled from pipelines in 2011 is not provided, though a graph representation of spills in the province does show that pipelines spilled more hydrocarbons than wells and energy facilities combined, the first time in at least five years that pipelines spilled more than either wells or facilities on their own. Two months later, Alberta Environment filed charges against Plains Midstream in relation to the Rainbow spill. The company could eventually face three fines of up to $500,000 each. Still, a diverse group of critics, including Nathan Lemphers of the Pembina Institute, Don Bester of the Alberta Surface Rights Group and Licia Corbella, conservative editor of the Calgary Herald, all pointed out that the ERCB’s lack of a punitive hammer for pipeline accidents in Alberta looks bad. At best it undercuts the premier’s efforts to promote the energy industry’s plans to expand Alberta’s pipeline network. At worst it reflects a systemic bias towards the industry. A new agency, the Alberta Energy Regulator (AER), replaced the ERCB in June, and is in the process of taking over responsibilities formerly handled by Alberta Environment. This may or may not signal a substantive change. The new regulator has put Plains Midstream under a heavier regulatory burden because of the company’s spills and its 19 deficiency and non-compliance notices since 2011. Meanwhile, major incidents continue to happen. On June 1 of this year an Apache Corp. pipeline spilled 9.5 million L of toxic wastewater near Zama City, contaminating a swath of land equal to 52 CFL football fields. It took the new regulator 11 days to announce the spill. Later that month, during the floods in Alberta, debris in the Sheep River struck and ruptured a Legacy Oil and Gas pipeline near Turner Valley, which spewed sour gas. It remains to be seen what action AER will take in response to these spills. At a cost of $455,000, the pipeline safety review failed to provide objective evidence as to the safety and security of Alberta’s pipelines. With such a limited scope, it’s unclear whether the review was ever intended to do so. Tadzio Richards is an independent journalist and documentary filmmaker and the recipient of two National Magazine Awards.